The second application of Smart Home technology was to eliminate a minor annoyance. We have uplights (bulbs inside “cans” on the floor) in our living room and my wife’s office. They were using mechanical timers. Twice a year due to daylight savings and a number of other times a year due to power outages, I would need to manually adjust the timers. The bulbs were CFLs. Phillips is the best known smart lighting company. We were not interested in the products that produce a whole lot of colors, just white. Individual smart bulbs (all using LED technology), at the time, were more expensive. They have come down significantly in price since then. 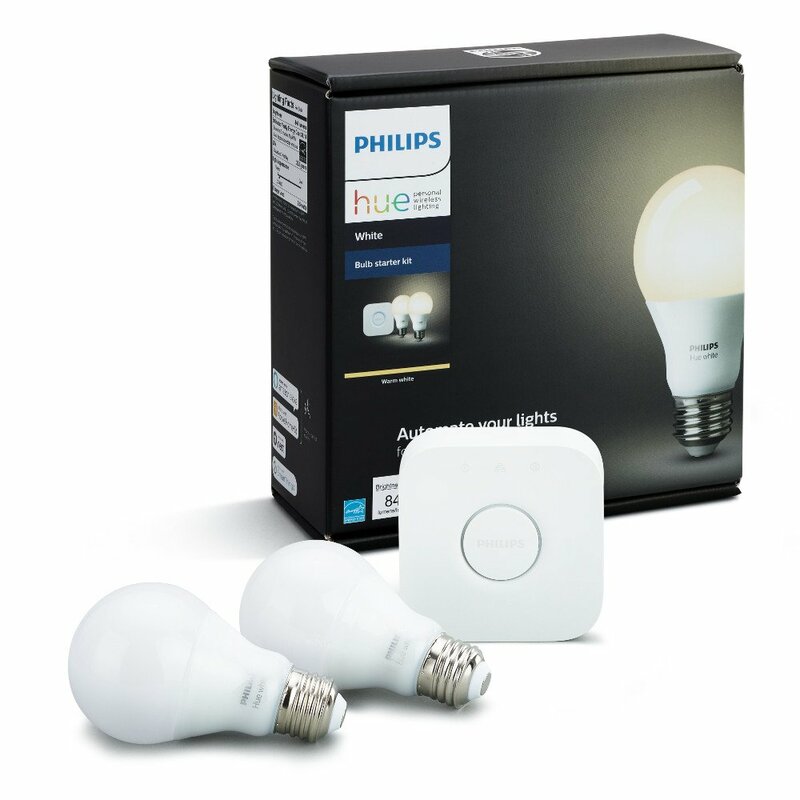 The Phillips system requires a hub (that needs to plug into your router) and the LED bulbs communicate with it. The bulbs were lower to buy individually, and I bought the starter system on sale. I also bought two more individually. Later on, as we had an unused can, I decided to get one more bulb for that can to be used in my office. My router is located on a shelf inside our guest coat closet, so there was plenty of room for the Phillips hub. This experience got me thinking about people that have their router in plain sight. It also got me thinking about how many more hubs I might need as I kept adding more devices. An aspect of smart bulbs is that when they are connected, or reconnected, to the power, such as in a power failure, they illuminate. I’ve put them into an Alexa group so can just say “turn off All Bulbs”. The other night I awoke at 3:45 AM and noticed that they were on (there had been a brief power failure earlier when I was sleeping). Not wanting to wake my wife, I used the app to turn them off.